Sure, increased sugar consumption can cause obesity, which in turn is linked to diabetes, but sugar’s effect on diabetes was independent of obesity’s effect, and independent of the effects of other variables like physical activity, alcohol consumption, age, and socioeconomic status. In the study, no other foods besides sugar yielded significant individual associations with diabetes prevalence after controlling for obesity and other confounders. kilocalorie: 1 kilocalorie (often shortened to kcal, pronounced “k” cal) = 1000 calories = 1 Calorie (what you see on food packages); a calorie (with a small “c” is defined as the amount of energy it takes to raise the temperature of 1 kilogram of water by 1 degree Celsius. The issue of whether added sugars may be a population-level driver of the diabetes pandemic is of importance to global health policy. If obesity is a primary driver of diabetes, then measures to reduce calorie consumption and increase physical activity should be prioritized. However, if added sugar consumption is a primary driver, then public health policies to reduce sugar consumption warrant investigation as diabetes prevention proposals — especially for developing countries where diabetes rates are rising dramatically, irrespective of obesity. His advice has not fallen on deaf ears. Michael Bloomberg, the mayor of New York City, proposed a ban on the sale of sugary drinks larger than 16 oz (a typical 20-ounce bottle of soda contains an amount of high fructose corn syrup equivalent to roughly 16 teaspoons of sugar). The ban would only apply to businesses that fall under the auspices of the health department, like restaurants and movie theaters; convenience and grocery stores would not fall under its purview. Thus, a state Supreme Court Justice deemed it “arbitrary and capricious” and struck it down last week, just one day before it was supposed to go into effect. But Mayor Bloomberg has already successfully fought the courts to institute other public health measures in New York City, like bans on smoking and the posting of calorie counts in chain restaurants, so it’s likely that the fight isn’t over. 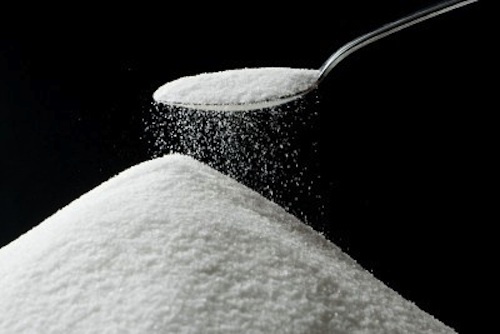 The Center for Science in the Public Interest (CSPI), a consumer advocacy organization focused on health and nutrition, heeded Bloomberg’s rallying cry and is petitioning the FDA to regulate the amount of sweeteners added to beverages. In 1982 the FDA said they would reassess the safety of added sweeteners if consumption increased or if research indicated that they were a public health hazard. CSPI said that both of those eventualities has come to pass, so it is asking the FDA to set voluntary limits on added sweeteners in sodas and other processed foods. Meanwhile, the USDA has issued new proposals mandating that soda cannot be sold at vending machines in schools. If accepted, these proposals would not go into effect for another year, but 39 states have already implemented similar rules. Although data continues to accumulate indicting sugar as a public health menace (Dr. Lustig calls it “evil”), regulating it is hardly a given. The “anti-Bloomberg Bill” was just passed into law in Mississippi; it prevents counties and towns in Mississippi from requiring that restaurants post calorie counts, from capping portion sizes, and from marketing junk food to children. The state government of Mississipi does not think such limits should be legislated; it instead insists that its residents — one third of whom are obese — can make their own decisions about healthful eating. And of course not everyone agrees that sugar is actually the problem. A recent study funded via an unrestricted research grant from the Coca-Cola Company and published, interestingly enough, in the same journal as Dr. Lustig’s work, concluded that rates of obesity in women have gone up in the last 45 years not because of increased soda consumption but because women are spending less time doing strenuous housework like washing dishes and laundry and more time typing on computers . Yes, for real. In May 2009, Dr. Lustig gave a lecture at USSF called “Sugar: The Bitter Truth”. The lecture was posted on YouTube the following July. The engaging 90-minute talk touches on fructose biochemistry, human physiology, clinical research, public heath, and politics. You can watch the video below. Basu et al. The relationship of sugar to population-level diabetes prevalence: an econometric analysis of repeated cross-sectional data. PLoS One. 2013;8(2):e57873. doi: 10.1371/journal.pone.0057873. Epub 2013 Feb 27. Archer et al. 45-Year Trends in Women’s Use of Time and Household Management Energy Expenditure. PLoS One. 2013;8(2):e56620. doi: 10.1371/journal.pone.0056620. Epub 2013 Feb 20.